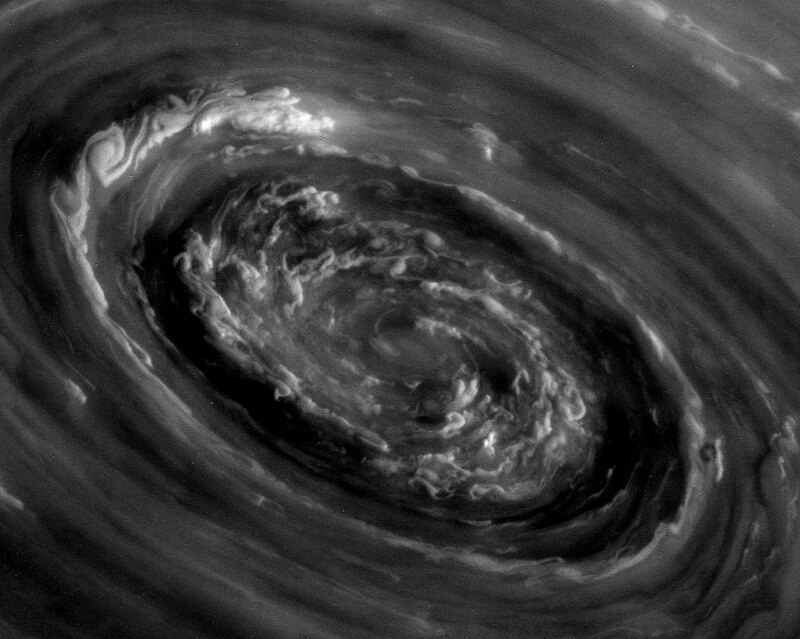 Explanation: What's happening at the north pole of Saturn? A vortex of strange and complex swirling clouds. 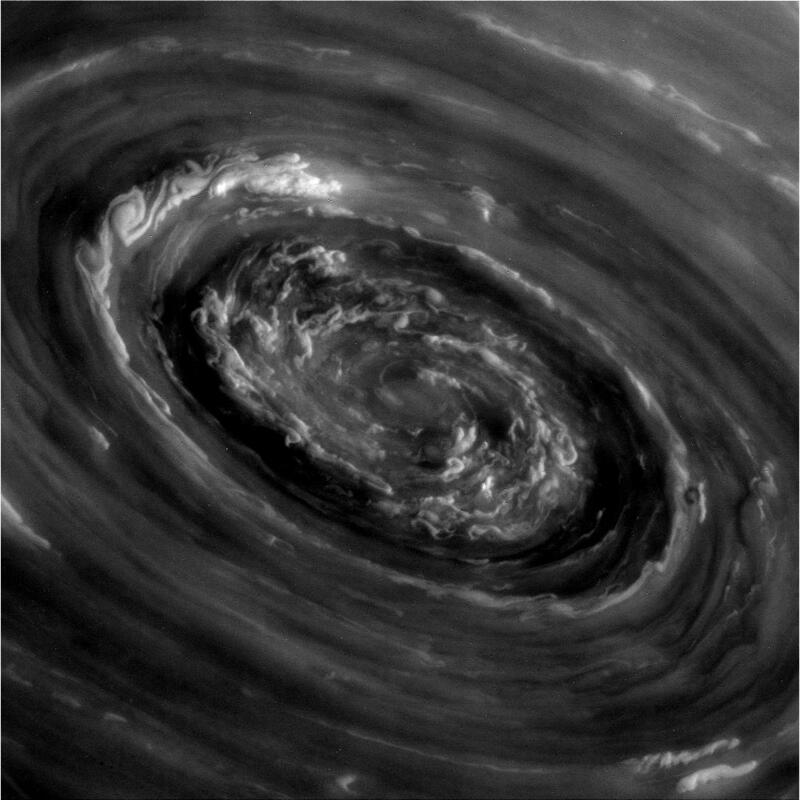 The center of this vortex was imaged in unprecedented detail last week by the robotic Cassini spacecraft orbiting Saturn. These clouds lie at the center of the unusual hexagonal cloud system that surrounds the north pole of Saturn. The sun rose on Saturn's north pole just a few years ago, with Cassini taking only infrared images of the shadowed region previously. The above image is raw and unprocessed and is being prepared for release in 2013. Several similar images of the region have recently been condensed into a movie. Planetary scientists are sure to continue to study this most unusual cloud formation for quite some time.